Local residents have reacted with shock after a man was found dead in a phonebox on Kings Road this morning. Members of the public watched on as police dealt with the issue outside of Betfred in Harrogate through the morning. Pete Willett, a local resident and member of the community watch scheme, said the community was in a state of shock following the discovery. He said: “I just went to post a letter and was told by the policeman that I couldn’t go in front of Betfred, but I had no idea what was going on at the time. “I then went and spoke to a hairdresser a few doors down and they said that the police had found a body in the phone box. “I’m really surprised more than anything else. I have never seen anything like it before, especially not round here. “It’s really shocking for people to see something like that. Everybody round here is just in shock because you don’t usually get that round here. North Yorkshire Police said officers were called to the incident just outside Betfred at around 6.40am. 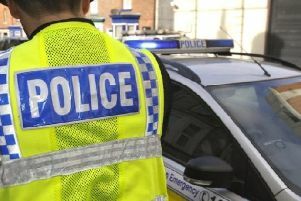 A spokesperson for North Yorkshire Police said: “Police were called at around 6.40am today (Tuesday 14 July 2015) from a member of the public, reporting concern for a man in a phone box in Harrogate. “Police attended the scene on Kings Road in Harrogate and the man was pronounced dead shortly after. The circumstances surrounding the mans death are unknown at this time and CSI officers are currently at the scene.